I’ve been working on Mase’s nursery for the past few months. It took me awhile to figure out what I wanted to do and when I found the Sailboat Bedding at Target a couple of months ago I fell in love with it! After weeks of relocating the office and cleaning out the room, I finally spent the week painting and decorating. I love the way it turned out! I decided on 2 different shades of blue for the walls and it took 3 coats of each, which was exhausting. Remind me next time to buy that primer + paint. Well worth the extra money! 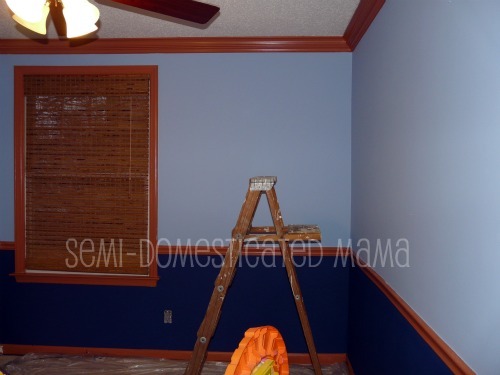 I painted the trim cream and got the furniture all set up. I ended up having to buy all new nursery furniture which was not part of the plan. 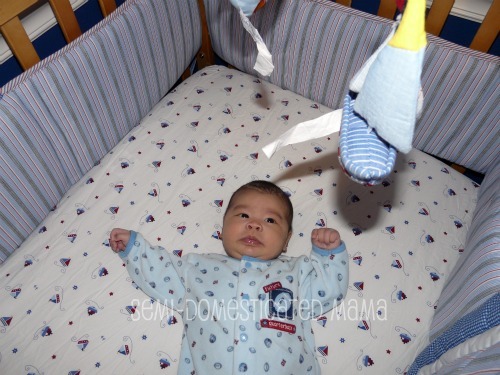 But when I got Maia’s crib out of the attic, one side was cracked and there was no way to fix it. So we went ahead and bought a new crib, changing table and dresser for Mase. I found the perfect red rug that matched his crib set and it just really made the whole room. 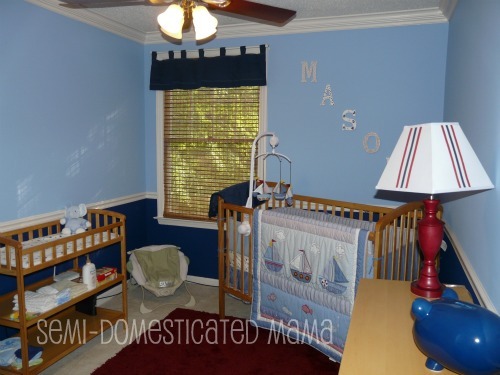 I bought the letters at the craft store and painted them to match his bedding- polka dots, stripes and sailboats. My sister found the big blue piggy bank and I love it! 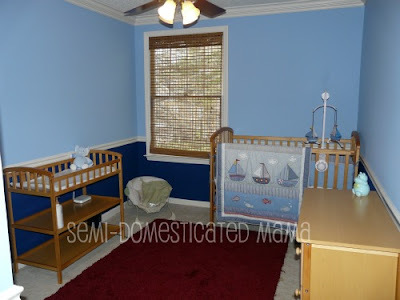 I finally put the finishing touches on the nursery yesterday and I love it. I found the nautical lamp at Target and it is absolutely a perfect match for the room. I also added the valance on the window but I still need to get a light blocking shade. 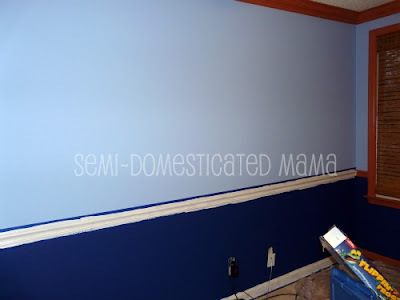 All that is missing is something on the wall above the changing table but I will wait until I find something that is perfect, which so far I haven’t found. 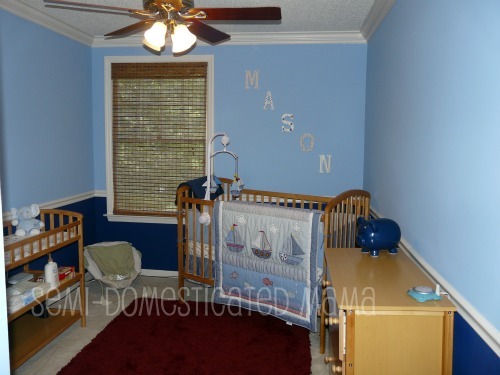 There you go, there is Mase’s new nursery! I think he likes it. He looks very excited, doesn’t he? Ha!